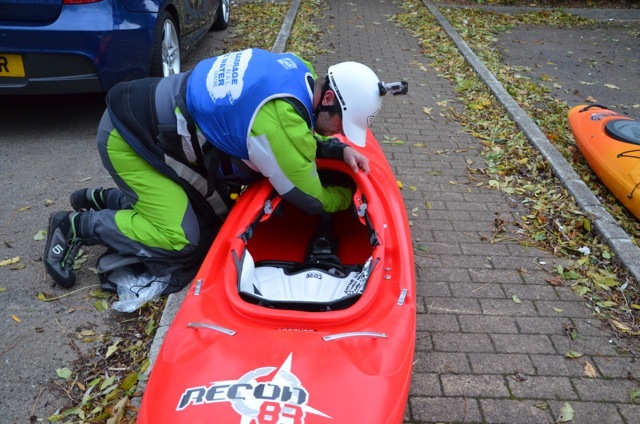 I had the pleasure of being the first person (probably) in the UK to paddle the new Wavesport Recon. I had seen the boat a couple of weeks ago and had arranged to hook up with Tom at the Tees Barrage for an evening paddle. The Tees Barrage has always been a great place for me to check out boats as its been my local paddle spot since the day it opened way back in the last century. One of the most creative videos I have seen this year. Well worth watching. Block Flow Episode 1 BC from Mikkel St.Jean-Duncan on Vimeo. Dry Cags – Are they really dry? 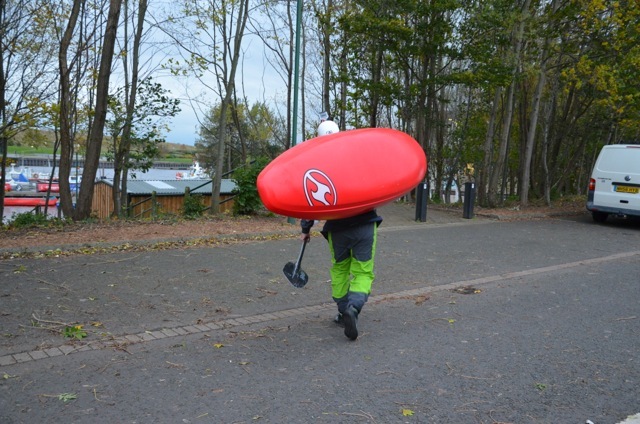 I have owned numerous cags, semi-dry cags, dry cags and dry suits over the years. Neoprene seals, latex seals – all have been tried and tested for years and in reality none have ever been 100% dry. At the end of the day I believe that it’s all relative, if the cag fits right and the seals are constructed or even trimmed to give a good water tight seal you will only ever minimise the chance of water finding its way inside. In some cases the amount of water entering the cag is so small it is virtually dry, but will never be totally dry. 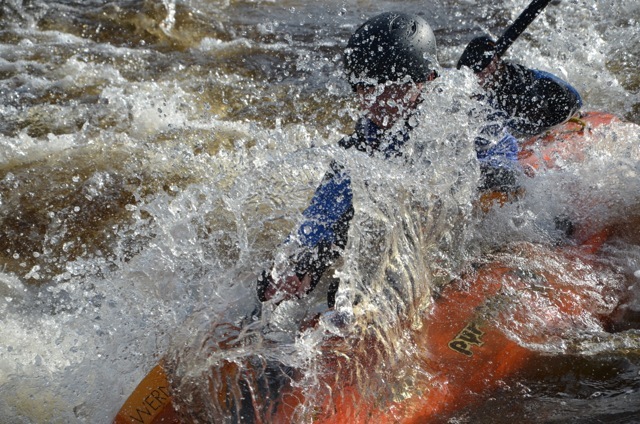 Kayaking the Grand Canyon of the STIKINE river from Adrian Kiernan on Vimeo. Another great video from Unsponsored’s little brother – River Militia. The Good the Bad and the Pooley from THE RIVER MILITIA on Vimeo. If you haven’t done so already check out the River Militia HQ. A few images from today. If you are in any of the images and would like a full size copy please drop me an email or contact me through the site. 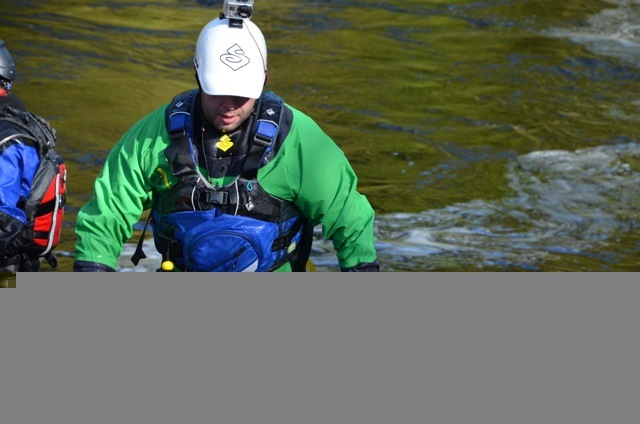 Here is another way of attaching your GoPro to your kayak. 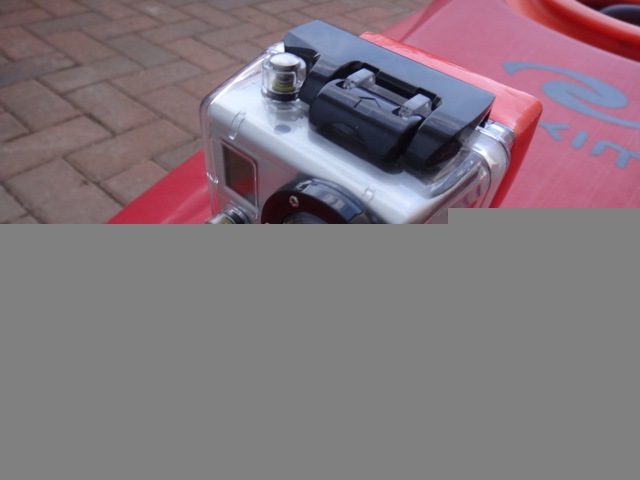 This uses the GoPro Handlebar Mount and is shown attached to the Eskimo Topo Duo I own. 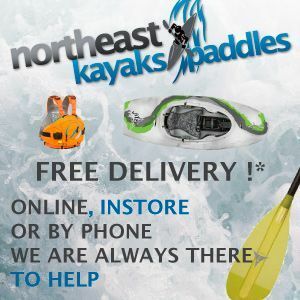 The handlebar mount will only work on a kayak if the grab handles are solid and thick enough. This will work equally well with the Hero 2 and 3. In the image you can see I have used a leash just incase the camera gets knocked free and a Floaty Backdoor has also been added. 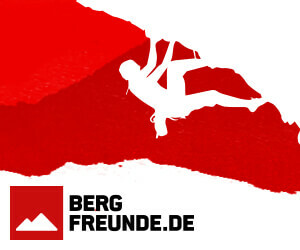 More GoPro stuff here – Click. 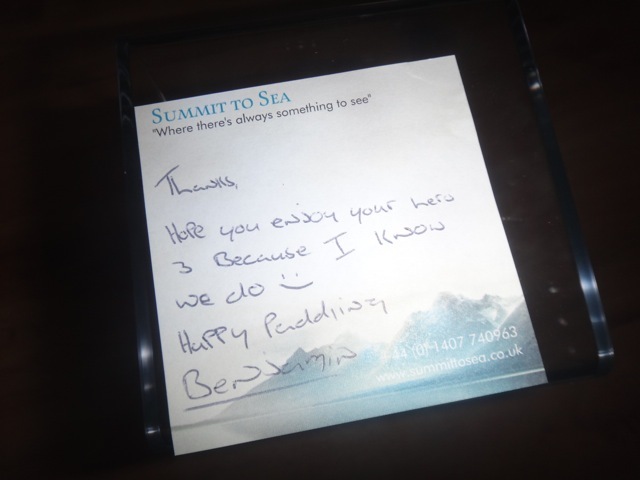 It’s always great to get feedback on the site, especially when it is positive. 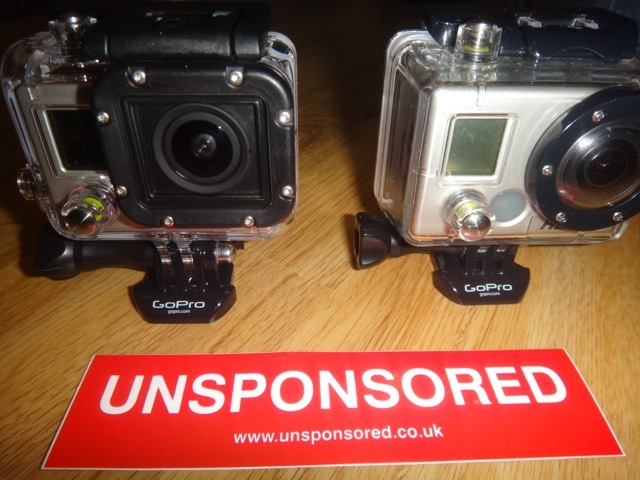 Ian Bailey over at iboutdoor has recently made a post about Unsponsored. Aside from the smaller and lighter aspects of the change there are a number of other things that need to be considered particulary if you are upgrading from the 1 or 2 to the 3. The GoPro Hero 3 doesn’t come with a whole load of accessories. You get the camera/case, 1 x Flat mount, 1 x Curved mount, 1 x Battery, 1 x 3 way Pivot Arm, 1 x QR lock, 1 x Skeleton Back, 1 x Additional (larger) QR mount. 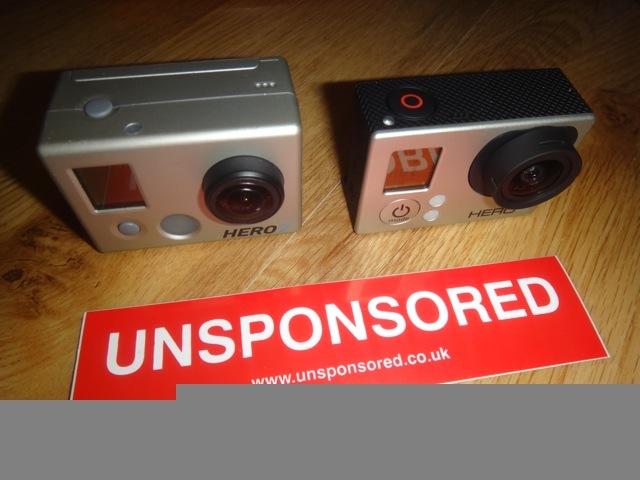 My Gopro Hero HD3 Hero Silver Edition landed this AM from the guys at Summit to Sea. RRP is around £280 but they can be found for a little less. In search of fresh whitewater the Fisher family and friends holiday to Iceland and Norway. 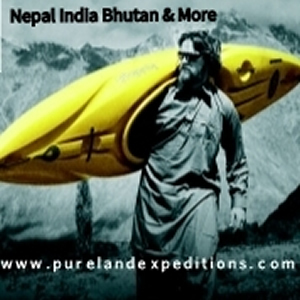 Showing their journey through challenging terrain and inspiring white water. Balance Ep.1- At Ease from Lee Visual on Vimeo.